We are more than a training center. We are an institute serving the Chapel Hill, NC area, covering all your response training and safety product needs. We offer both traditional and e-learning options, with consultants available around the clock to get you into the program or class that you need. 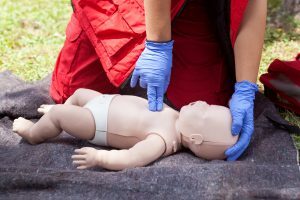 In addition to CPR certifications, we also offer BLS Certifications, PALS certifications, and AED Certifications. Our classes are short, fun, and personalized. The consultants personally monitor the progress of each student to ensure a low-stress, hands-on experience. So if you are looking for CPR, BLS, PALS, or AED Certifications near Chapel Hill, NC you’ve come to the right place. 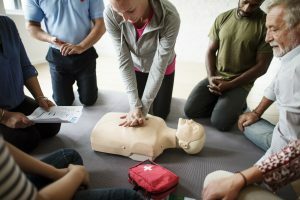 If you are interested in a CPR certification renewal or signing up for a class, click below to check out our availability in the Chapel Hill area. Whether this is your first time taking the AHA BLS certification course or you are interested in an AHA BLS renewal we have you covered. Click below to see our course availability in the Chapel Hill area. If you are interested in obtaining a PALS certification or renewing a current PALS Certification in the Chapel Hill, NC area we have the classes you need.